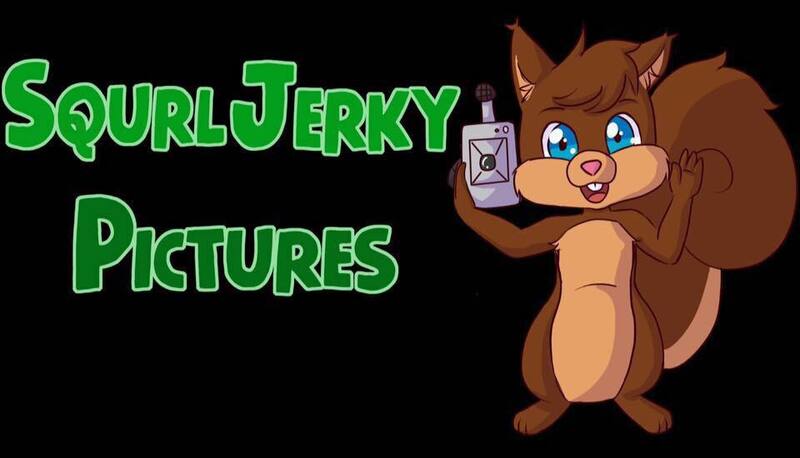 Our mission is to bring together the San Antonio gaming community by providing them with gaming events where they can socialize with their friends, make new friends, create wonderful memories, learn new games and play games they enjoy. Teams will compete over the course of the weekend to create a mobile app game compatible with the new Razer Phone 2. They are not allowed to have anything pre-prepared, so it will be an all out brawl of skill to see who can complete their game in just three days time. Come out, watch and learn how app games are created. This event is open to anyone who wants to compete. Participants can come alone or as a team to pick up their game pieces, theme and rules on Friday night. Participants will then have three days to create a prototype of a tabletop game based on the pieces and theme they are given. Guests and the CEO of the convention will judge the games on Sunday and will crown an ultimate winner. Special guest Chris Leder will be holding an “Ask Me Anything” panel on Saturday from 11 am - 12 pm. All people who attend the panel will receive a ticket. Chris will choose three tickets at the end of the panel. The lucky winners will get a special City of Gears gaming session with Chris, on Saturday from 1 pm - 2 pm, where you can ask him more questions about the gaming industry, and get to learn how tabletop games are created. The Hilton San Antonio Airport hotel is a preferred choice of accommodations for regional, national and international travelers since 1983. 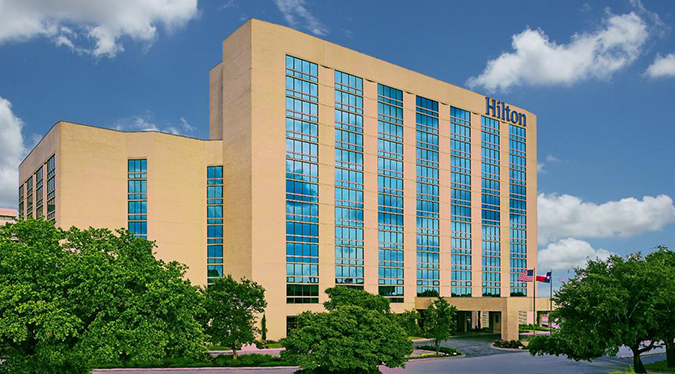 Hilton San Antonio Airport has undergone an interior and exterior transformation, completed in January 2015. Relax in our contemporary guestrooms or explore San Antonio at nearby attractions like the Alamo. Dine on Texas-inspired cuisine or plan an event in our designated spaces. 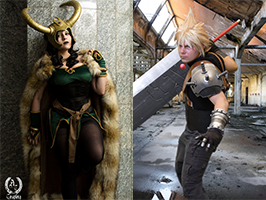 The Inked Geek Atelier started her cosplay journey in 2008 at the lovely age of during 8th grade. She had no wig, no makeup, and it was her first time sewing anything other than an embroidery project. The fun of being surrounded by fellow geeks fostered a love of cosplay and conventions. 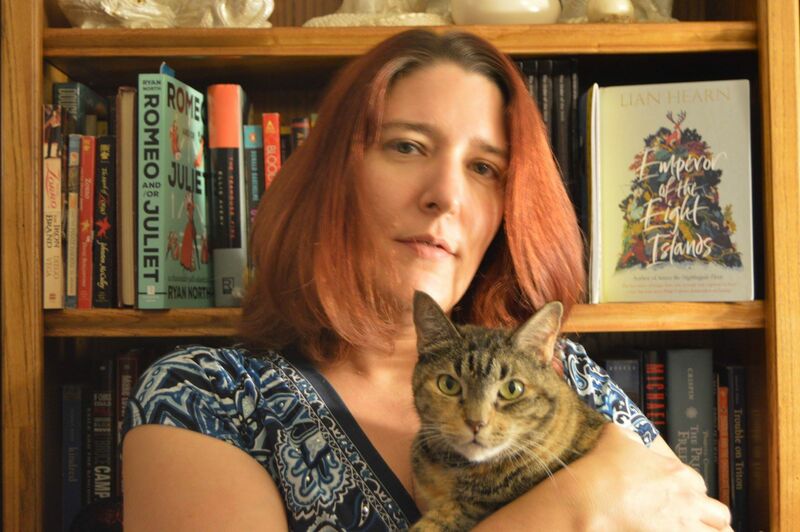 Robin English-Bircher earned her MFA in Creative Writing from Texas State University in 2004. She started writing posts for the game blog Wine and Savages in 2012. However, did not start freelancing until 2016. Her first work was as a co-creator for The King is Dead setting for Savage Worlds. Since then, she contributed to Retribution (for Savage Worlds) from Obatron Productions and as an editor for Warhammer 40,000 role playing game Wrath and Glory. Most of her time is focused on Savage Rifts with fellow lead developers Sean Tait Bircher and Sean Roberson. Most of the time, Robin teaches freshmen composition at the University of Texas at San Antonio. Other writing work consists of writing about Texas wine for different publications; these days, that writing is for Texas Wine Lover. 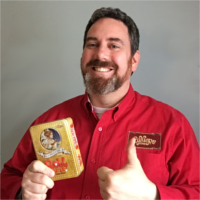 Sean Tait Bircher is the primary author behind the blog Wine and Savages, author of the all-ages adventure The Christmas Morning That Almost Wasn’t (at DriveThruPRG), and creator of the setting The King is Dead (as seen in the adventures DHAMPIR and VARGR). Past contributing author credits include Steamscapes: Japan for Four-IN-Hand Games, Accursed: World of Morden for Melior Via, and published and upcoming adventures for Adamant Entertainment, Fabled Environments, Pinnacle Entertainment Group, Sigil Entertainment, and Yellow Piece Games. 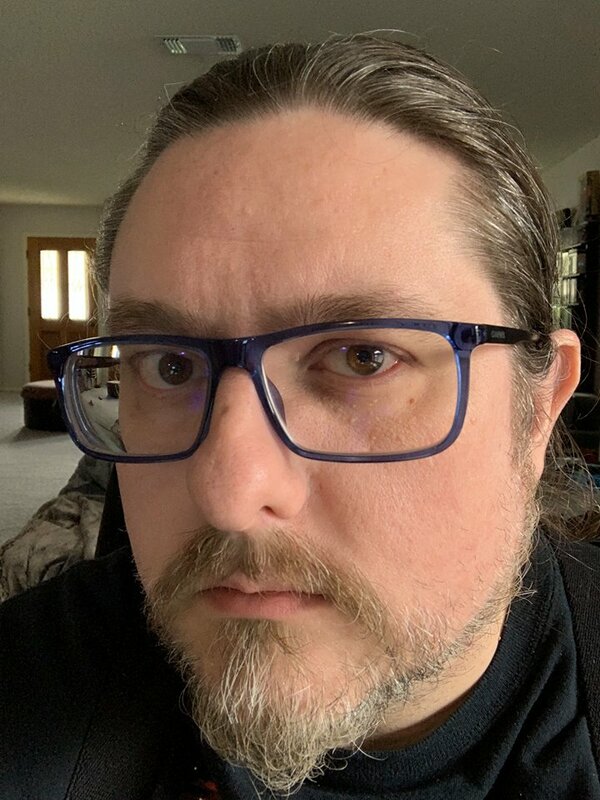 He is a contributing developer for the next installment of Rifts® for Savage Worlds products and has edited for Evil Beagle Games and Warhammer 40,000 role playing game Wrath and Glory. Has published material from Wine and Savages Presents for the Savage World Adventure’s Guild on DriveThruRPG. Jas Broome is a San Antonio native videographer and photographer whose hobby of gaming lead him to create a YouTube channel dedicated to showing how board games can knock down social barriers and allow people to come together as equals, playing against each other with the same advantages and disadvantages. The Board Room does not focus on tutorial game play but rather a group of friends enjoying a game together and how it can bring people together and that people might have more in common than they think. GAMEXPO cannot run without the help of our friends. Volunteers include people who help with registration, safety, liaison positions and more. By being a friend you can earn a free badge to GAMEXPO. In order to get a free badge you need to volunteer for 9 hours over the course of the 3 days convention. You may work the 9 hours in any combination that works for you, such as 4.5 hours each day for two days and be off the third day. Whatever works best for you is fine as long as you volunteer for 9 hours of the convention. We thank you for helping us with the convention. If you would like to volunteer for one of the on-site jobs click on the link below. With a little help from you we can make GaMExpo a huge success. Please let us know if you would like to assist the convention with monetary donations, donations of product or any other form of sponsorship you can provide. 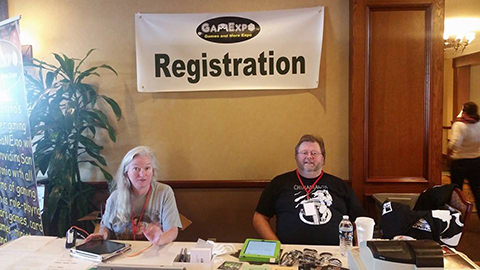 GaMExpo is dedicated to bringing family involvement to the San Antonio area through gaming. We strive to provide families with educational and fun ways to spend time with one another and build strong family ties. We believe in the family unit, in literacy, and in assisting the community we live in. 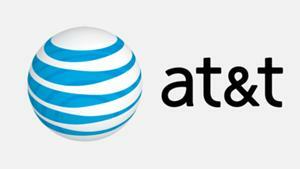 Our plan is to assist children and family services in the community through gaming. 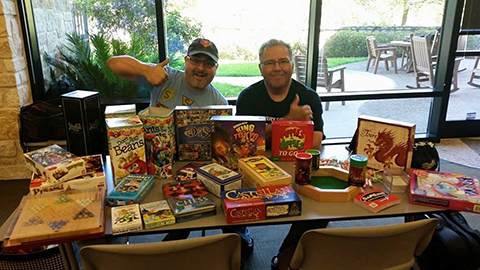 We work closely with San Antonio Nerd Night to find and support charities. The GAMEXPO 4.0 Charity IS! 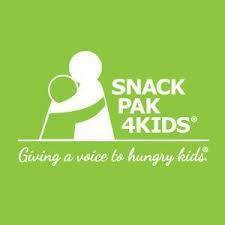 Snack Pak 4 Kids was created to provide weekend food supplements to students who are identified by their teachers, creating food SECURITY for them over the weekend.